First off a few items ending on wednesday, not long left on these! 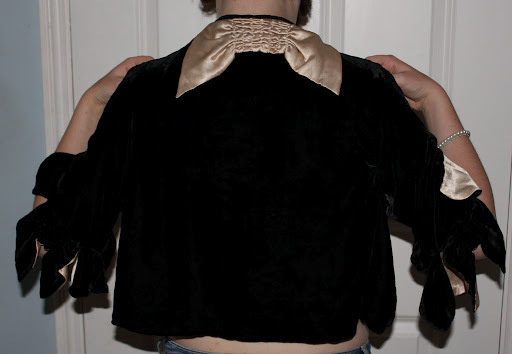 Amazing black velvet jacket with contrast gold satin bow and cuffs. The details on this are so fabulous. 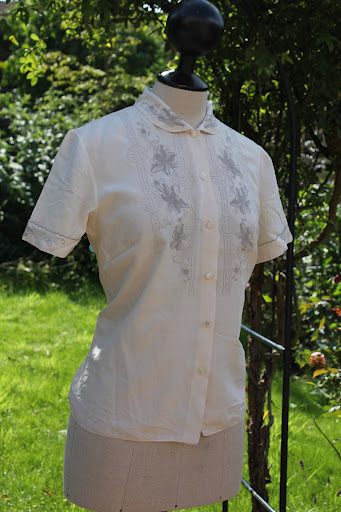 If i was that way minded (and not a lazy sewer) I would so take a pattern from this and make a new garment with sleeves like this. Just lovely! 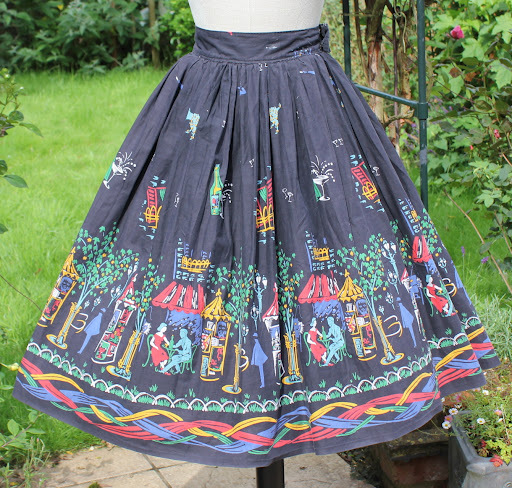 This 50s skirt has to have one of the best ever novelty prints. And, I’m a sucker for a good swimsuit. This gorgeous one is DEADSTOCK. 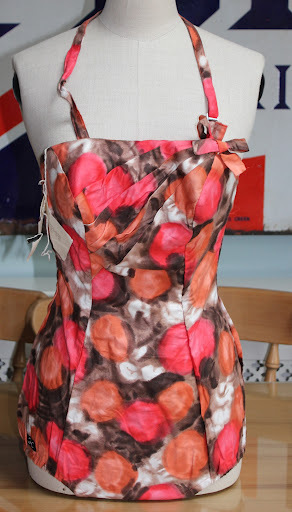 I will have a few more stunning swimsuits like this coming up shortly. 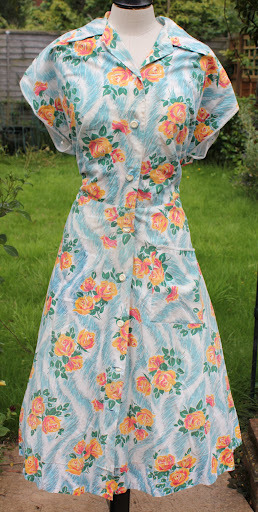 This week i even have two fabulous plus size vintage dresses listed (i think they are both around a size 18-20). 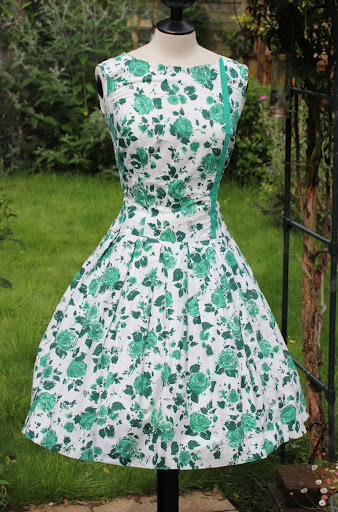 I am hoping to have some more similar larger dresses shortly, so keep a look out! Keep a watch out Horrockses fans. I’m listing four next week! « The misuse of the term "Curator"